Most parents will laugh when you start talking about relaxing family vacations. To many, it sounds like an oxymoron. “Relaxing” AND “Family” — Can they even coexist in a vacation? Then I realized…to have a *relaxing* family vacation, you just need to find the right destination! After spending a long weekend at the Grand Solmar Land’s End Resort in Los Cabos, Mexico, I think I just may have found that right destination!!! 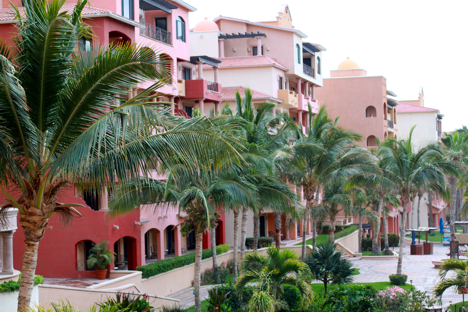 The Grand Solmar Land’s End Resort is part of the Solmar Hotels & Resort family, nestled between vermillion mountains and the Pacific Ocean at the southern tip of the Baja Peninsula. And, yes, it is as beautiful as it sounds! I’m a sucker for a good back-story and the Solmar Hotels & Resorts has a really great one! In 1955 Don Luis Bulnes moved from Spain to Los Cabos to help establish a large tuna packing plant. Fifteen years later, after falling in love with the area and the people, he began purchasing land in Los Cabos and built the Hotel Solmar. 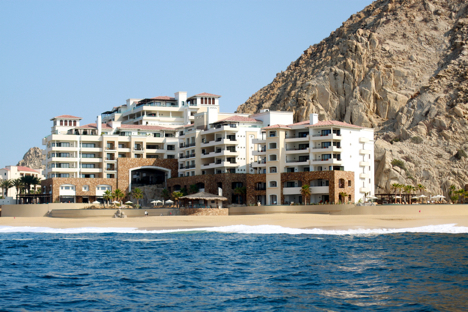 Since then, Sr. Solmar has renovated the Hotel Solmar (now Solmar Suites), expanded and built new resorts, started Los Cabos’ largest sport fishing fleet, and continued to invest in the local economy. While in Los Cabos, I was able to tour four of the five Solmar properties and…Oh. My. Word! The Solmar, the “original” hotel, has been completely renovated but the rooms continue to feature a more authentic Mexican decor. The Playa Grande Resort and the Ridge at Playa Grande are absolutely stunning. The Playa Grande suites feature their own private balconies, while the villas at The Ridge will just leave you speechless. The property itself features theme nights, a fabulous Spa, tennis courts, and a Kids club! The Grand Solmar, the newest addition to the family, is just unbelievable. This is where I stayed and to say I felt so incredibly spoiled is an understatement! Opened in 2011, The Grand Solmar is literally at Land’s End, as the tip of the Baja Peninsula is just down the beach, and 119 suites. When the second phase of construction is completed (2013), that number will increase to 289 suites! The entire resort is beautiful and tranquil. And, with suites ranging from the 737 square foot Studio Suite to the 6,232 square foot Four-Bedroom Penthouse, you’re sure to find a room that comfortably fits your whole family! All of these properties feature some of the most amazing restaurants (and quite a variety), heated pools, and kitchens or kitchenettes in every room/suite/villa. And each one is so different. Chose from All-Inclusive or A la Carte, infinity pools or water slides, evening beach parties or a relaxing dinner in your room. They truly meet the different vacationing styles of different families! Oh! If you happen to be visiting the Grand Solmar for a special event (or any event), let them know! They do this fabulous, complimentary, sand-message writing on the beach! What a great way to personalize your trip!!! *Don’t worry if you can’t read what is written in sand in this picture…it’s written in Russian! Okay, okay, okay! Enough already! 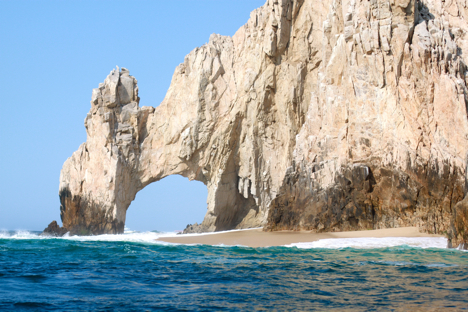 Go check out Solmar.com and start planning your Los Cabos vacation! I was invited to the Grand Solmar Land’s End Resort as a guest of the Solmar Hotel & Resorts. All travel and accommodations were provided by the resort. All opinions are my own. And, yes, I would definitely go back to the Grand Solmar with my family! Good for you, you Lucky One! Sounds like a a wonderful place for a vacation, if you can afford it!